As awareness grows about the environmental toll of single-use plastics, retailers and regulators alike are finding ways to decrease their use. And straws have become a prime target. Slurping up smoothies, sodas and slushies through disposable plastic straws could one day become a thing of the past. The call to toss plastic straws out of our food system is growing louder and louder. On Thursday Bon Appétit, a large food service company, announced it is banning plastic straws in all 1,000 of its cafes in 33 states, including locations like AT&T Park, home of the San Francisco Giants. The company says it plans to complete its transition to paper straws by September 2019. It's the latest salvo in a growing war against straws. The movement to oust plastic straws has spread across the U.S., from Miami Beach, where straws are now banned, to Malibu, where the prohibition also extends to single-use plastic utensils and stirrers. The anti-straw movement comes amid growing recognition of the environmental toll of all the single-use plastics that people throw out. One compelling example of this: a video of a sea turtle with a plastic straw stuck up its nose, which was released a few years ago. In 2014 alone, Americans tossed out more than 33 million tons of plastic, the vast majority of which was not recycled, according to the Environmental Protection Agency. 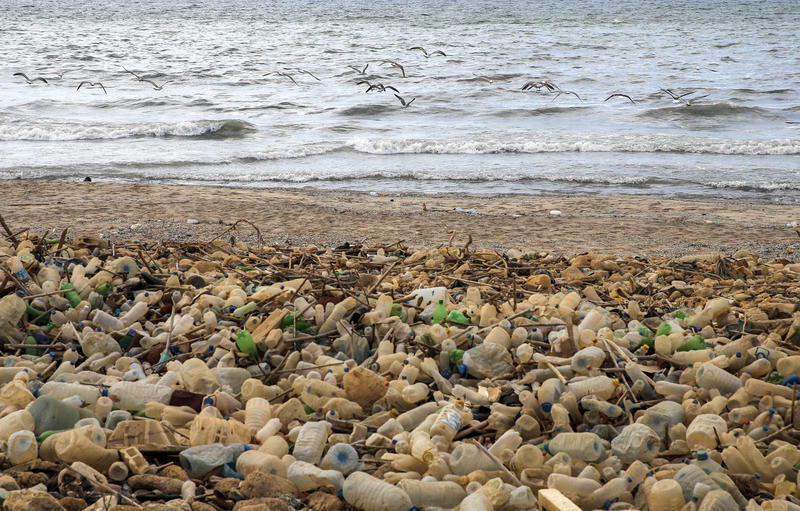 One 2014 study estimated there are 270,000 metric tons — and more than 5 trillion particles — of plastic in the world's oceans. Straws and stirrers make up more than 7 percent of plastic products found in the environment, according to Better Alternatives Now, or BAN 2.0, an analysis done by several pollution research groups. New York City Councilman Rafael L. Espinal Jr., a Democrat from Brooklyn, introduced a bill last week that would prevent restaurants in all five of the city's boroughs from providing plastic straws to customers. "I've become increasingly aware of the impact that single-use plastic has on our oceans and environment," Espinal tells NPR. "Over the past few years, I started looking at single-use plastics that we can begin to eliminate without having severe impact on New Yorkers' daily lives. Plastic straws happen to be one of those [products]." The bill would require that all establishments that serve food or drinks — from Yankee Stadium to street food vendors — phase out plastic straws by 2020. Espinal says he hopes to get the bill passed by the end of this summer, adding that Mayor Bill de Blasio is already on board to support the ban. Companies including Alaska Airlines, as well as educational institutions such as University of Portland and Knox College, have also moved to ban plastic straws. In the United Kingdom, several McDonald's locations have begun testing paper straws and putting plastic straws behind the counter. However, last week McDonald's voted down a shareholder proposal to study the issue at the chain's 37,000 locations globally. The fast-food giant's distinctive striped straws are the second-most-common brand found in the environment, according to the BAN 2.0 report. The most common: the bright green Starbucks straw. Marcus Eriksen is the co-founder of the 5 Gyres Institute, a nonprofit that focuses on reducing plastics pollution, and a contributor to the BAN 2.0 paper and the 2014 study on ocean plastic pollution. He says straws are part of a larger movement to reduce the use of plastics in our daily lives. 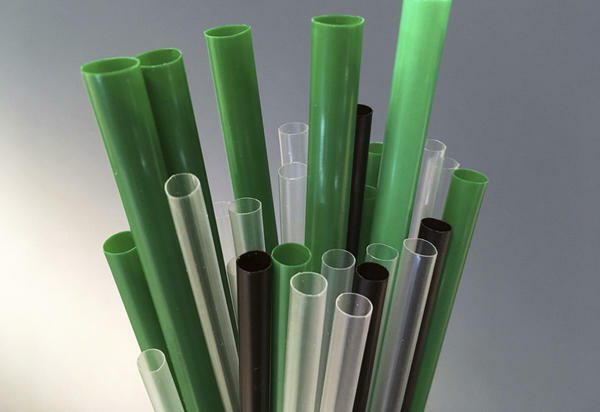 "Straws are just the next of many," Eriksen says. "Microbeads, plastic bags, Styrofoam — they're all on the way out." Some companies are exploring alternatives to plastic straws made of paper or wood. Other businesses have gotten creative, like Paradise Cove restaurant in Malibu, Calif., which now uses compostable, edible pasta in place of plastic straws. There are also reusable straws made of silicone, glass and metal on the market. And some businesses have instituted a policy that customers must explicitly request a straw — plastic or otherwise — to get one. That's the law in Santa Cruz, Calif., which has banned not only plastic straws but also plastic cutlery and hot beverage lids. Nowadays, the city's food vendors can provide straws, lids, cutlery and condiment packages only if a customer requests them — even if these products are made from compostable materials. Espinal likewise hopes to push his city to eliminate other plastics beyond straws. Another bill he introduced last week would prohibit vendors in parks and beaches from selling beverages in plastic bottles. Espinal says he has gotten largely positive feedback for his call to decrease plastic waste. Hundreds of bars and restaurants in New York have already moved to phase out plastic straws of their own accord. "There's a lot of support and this greater consciousness that this is the right thing to do," he says. Few inventions in modern history have been as successful as plastic. It's in vehicles and building materials and most of our electronic devices. We wrap stuff in it and even wear it. Now a research team has tallied up how much plastic has been produced and where much of it has gone. Turns out, it's literally almost everywhere. In The Recycling World, Why Are Some Cartons Such A Problem? Scoot over, cans; cartons are moving in on your shelf space. 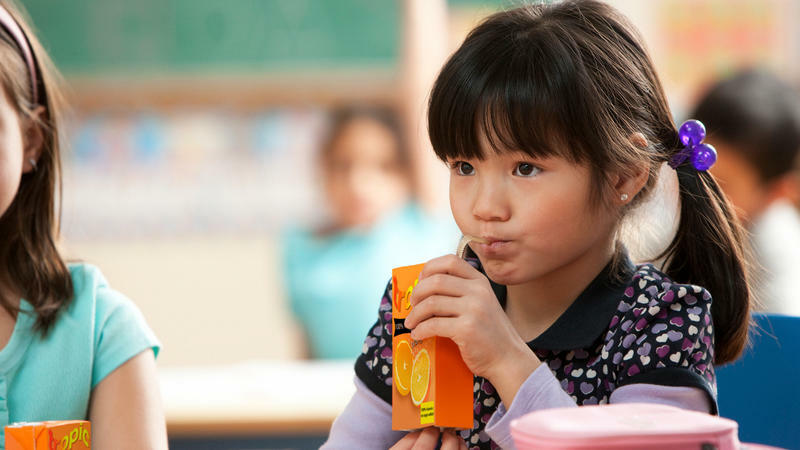 Specifically, the soft, light rectangular containers commonly associated with juice boxes — "aseptic cartons" to the carton literati. "They're growing in popularity," says Jason Pelz, vice president of recycling projects for the Carton Council, an industry group. "Broth is predominantly in aseptic packaging now, and you see a lot of coconut water in it." China is enforcing a new policy that bans imports of 24 types of solid waste, including recyclable materials. While that has many in the United States worried, the local recycling industry says these new rules should not hurt Central Ohio.